If you are trying to locate a wide selection of Chevy trucks for sale, it doesn’t have to be a hard thing to do. How? We make it easy when you come to Ewald Chevrolet Buick near car dealers in Waukesha. At Ewald’s car dealers near Waukesha, we have a full selection of used Chevy trucks for sale near me. Ewald’s car dealers near Waukesha has the used Chevy trucks for sale near me that you have been longing to own. When it comes to used Chevy trucks for sale near me, you can find a used Chevy Colorado truck to new Chevrolet Silverado trucks. Come out to Ewald’s car dealers near Waukesha to check out our used Chevy trucks for sale near you today. If it is midsize Chevy truck for sale that you are after, we have just the one for you. Take a look at the Chevy Colorado. The Chevy Colorado has a spacious interior and great towing capacity. The Chevy Colorado can come equipped in many different ways. You will find that the Chevy Colorado comes in various cab styles. As well as with a variety of options. Such as cruise control, Bluetooth connection, and more. Like a heavy-duty trailering package, auto-dimming rearview mirror, and speed sensitive steering. Find the right Chevy Colorado to meet your needs at our car dealerships near Waukesha. 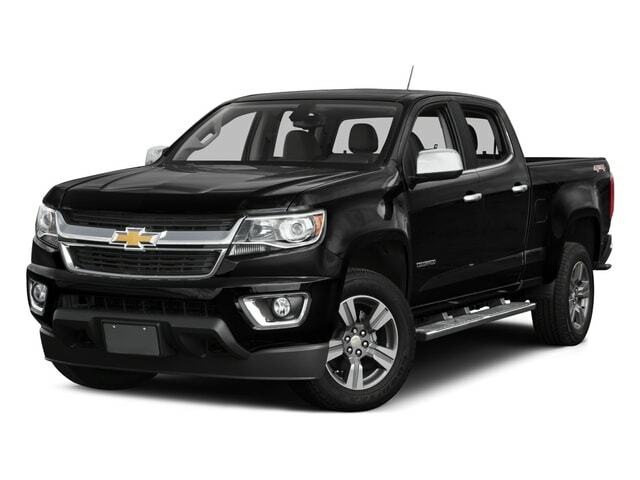 One used Chevy Colorado for sale to check out is the certified 2015 Chevrolet Colorado 4WD Z71 at Ewald Chevrolet Buick. This used Chevy Colorado for sale comes equipped with incredible features. Such as remote start, remote vision camera, and heated leather seats. After a vigorous 172 point inspection, this certified truck gives you a 12 Month or 12,000 Mile limited warranty. As well as powertrain limited warranty for 72 months or 100,000 miles. Along with roadside assistance, a transferable warranty, and more. Be sure to ask the knowledgeable sales team at Ewald Chevrolet Buick all about the benefits of owning a certified Chevrolet Colorado for sale today. Let Ewald Chevrolet Buick in Oconomowoc help you find the right used Chevy trucks for sale near me to meet your needs and budget. When it comes time to choose a Chevy Colorado truck for sale you can’t go wrong. Come to your local car dealers near Waukesha at Ewald Chevrolet Buick. Check out our selection of Chevy Colorado trucks for sale near you today. You can find Ewald Chevrolet Buick located at 36833 E Wisconsin Ave Oconomowoc WI, 53066. Or give us a call at Ewald Chevrolet Buick at (262) 226-2842 to schedule your test drive. Don’t keep searching other car dealers in Waukesha trying to find your next Chevy truck when we have your used truck right here. We look forward to meeting you and answering any and all of your questions on our used Chevy trucks for sale near you.